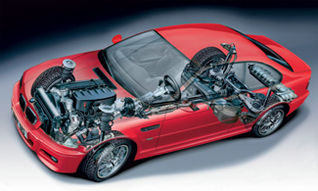 Here at Cable-Shack we offer the ultimate in BMW specific diagnostic solutions. Even if you are just an enthusiast, your first repair will probably cover the cost of the cable on day one, and with thousands of our cables being sold all over the world you know you're at the right place. The diagnostic cables we supply are solely for use on BMW cars, now you can avoid expensive dealer and specialist prices and do your own diagnostics/coding from the comfort of your own driveway or garage. What Can I Do With Your Cables? • Vehicle coding/programming & much more. 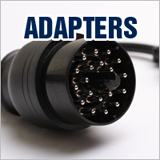 If you are unsure which cable you need just send us an email with you cars build date and we will make sure you choose the correct cable for your car. The list goes on, with all the functionality of your local dealers equipment at a fraction of the cost. What type of Cable Do I Need for my car? 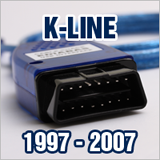 For model years 2000-2007, using K-Line USB cable connecting to car through 16 pin OBD port inside car. For model year's 1997-2007, using K-Line cable and 16-20 pin OBD adapter when round 20 pin OBD port can be found under cars bonnet on inner wing. (This 20 pin adapter is not ADS so will have limited support for ADS equiped models, ie E36). 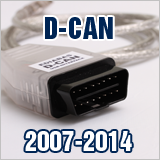 For model year's 2000-2010+, using D-Can USB cable for 2007-2014 and using supplied 16-16 pin K-Line adapter for model years 2000-2007. 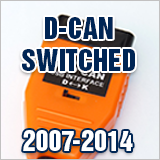 (D-Can cable will work on all E series models up to 2014 software dependant). As Above D-Can cable and adapter but with extra 16-20 pin OBD adapter to support 1997-2000 model years E38 E39 and E46. (This 20 pin adapter is not ADS so will have limited support for ADS equiped models, ie E36). For all new F series models. All Cables come complete with software included on dvd.